Gone are those days when you’d have to carry a portable audio player for your need for music. Today, most of us find our smartphones handier for this purpose. Either we stream music or shuffle through our own library. It is true that music streaming apps like Spotify, Deezer and Pandora are on the rise but still, there are many out there who carry a huge collection of songs in their mobile phones. So if you are one of those who prefers his/her own collection of music rather than streaming, and are looking for a decent music player for your Android, then you are in for a treat as we review one of the best music player apps for Android, called Eave Music Player. 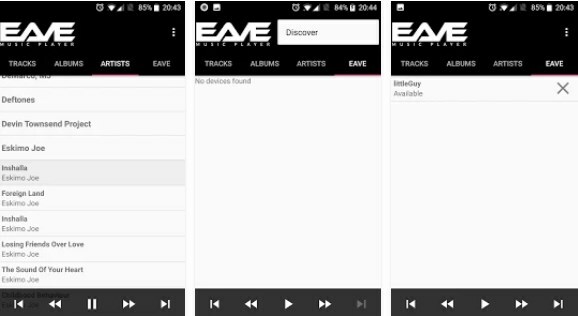 What is Eave Music Player? If you’re looking for a new source to play your favorite tracks on the go or at home, Eave Music Player is here for you. We loved this app because it is one of the most unique music player apps ever released on the Android platform. 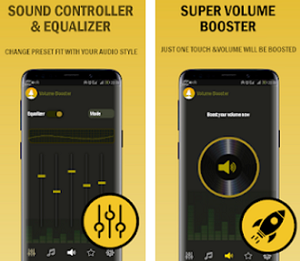 Created with minimalistic design and user-friendly interface, this app will improve your music listening experience and make it social like never before. Ever wondered what people around you are listening to? Or wanted to share your own music that you’re listening to at the moment? Now it is possible with the Eave Music Player app. Stop thinking of things like "I want to listen to what he/she's listening to!" or "I wish I could share this song with my friend". 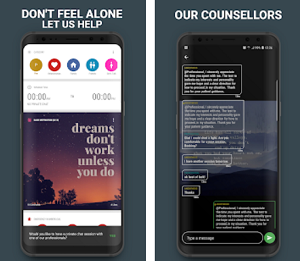 The app will let you listen to the music that those around you are listening to, and will even allow them to hear what you're playing at the moment. Whether you’re at a party, on the way to work, or just hanging out with friends, you can use Eave to listen to your favorite songs and socialize at the same time. Forget about using your phone’s default and boring music player, download this one instead and change your listening experience forever. Eave Music Player can be downloaded for free from the Google Play Store.